What's up with the weather? We have been slammed by a Nor' easter passing through NY. It's been raining cats and dogs. Not fun, especially with kids and a dog who hates to do his business in the rain! 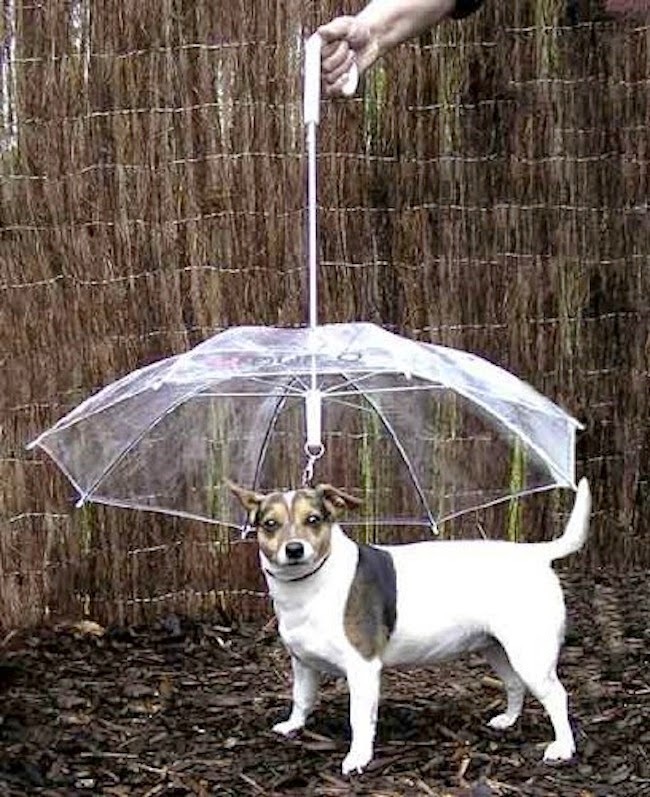 But Eddy is lucky we received this pet umbrella last week. Look at this thing. It's GENIUS! Are you laughing now because it looks ridiculous? HA! I do feel slightly foolish and Mary Poppin- ish walking around with an umbrella attached to my dog. OK! Go ahead laugh all you want! But you've got to admit it is a handy gadget. Have you seen anything like this before? It's practical and does the trick of keeping Eddy dry when walking out in the rain and snow. So many people have stopped me on the road with ENVY to find out where I found such an accessory. Must be COOL right?!? No secret. I found it here on Amazon. Any dog lovers on your Christmas list? This is a FAB gimmicky gift to give them and CHEAP. Enjoy the round of laughs when they open your gift, but they will thank you later when they see how its actually useful. Tried and tested. Eddy approved! P.S. That is not Eddy in the pic. Just some random poster dog on Amazons website. Had to make that clear!! !